Keeping employees happy and satisfied in the workplace can be hard work, but identifying employees wants and desires will greatly benefit your company and your bottom line. To help you better understand what keeps employees satisfied, we’ve come up with the following list of our top tips for employee satisfaction in 2019. It’s clear that the strict nine-to-five workday is outdated – and it won’t help employers attract or maintain today’s top talent. No matter the industry, flexibility in working hours is incredibly important to employees and job seekers nationwide. Companies that offer flexibility in the form of online communication and flexible working schedules help employees maintain a healthier work-life balance. Flexibility in the workplace has also been proven to reduce workplace stress and boost productivity. Communication is incredibly valuable when it comes to employee satisfaction. Constantly communicating with employees through appraisals and job evaluations will open up the lines of communication between employees and employers and ensure that everyone is on the same page. Workplace wellness initiatives do more than just promote healthy habits, they show employees that their employers truly care about their health and well-being. To truly make a commitment to employee mental health and well-being, employers need to lead by example and create a culture of wellness in their organisation. Assessing candidates in the recruitment stage is critical to satisfaction when they become employees. Making sure a candidate is a good fit for the company and will thrive in the role is so important. Consider things like company culture, background, values and mission when hiring staff. Without a sense of purpose, it is difficult for employees to connect with their work and their company. Working with a sense of purpose boosts employee motivation, productivity, morale, and overall job satisfaction. Goal setting with your employees is a crucial step in keeping employee satisfaction levels high. Employees want to know that management recognises and appreciates their contributions. Positive feedback that reinforces performance behaviours, can vastly improve employee satisfaction. Happy employees are hard working employees, so rewarding and recognising an employees hard work is important to keeping employees satisfied. These management tactics can take an organisation a long way toward fostering satisfied employees, improving employee engagement and achieving business objectives. How satisfied are your employees? Finding a new job can be a stressful and confusing time. With so many job boards and so many different methods of applying for jobs, it is often hard to cut through the noise and find a job that you are interested in and qualified for. Engaging a recruiter to help can often seem like an extra step in the process, but having a recruiter on your side who knows the legal industry back to front will actually increase your chance of success. Still need convincing? Check out our list of the top 6 reasons to use a legal recruitment agency. Recruiters spend years fostering relationships with companies so when a job opportunity becomes available, they are the first to be made aware. Using a recruiter to help you find the right role means you have access to those special opportunities only recruiters know about. Legal recruiters spend all day, everyday focusing on the careers and opportunities available in the legal industry. Legal recruiters know where the demand is, the culture of different companies, and the personalities of employers. A good legal recruiter can more effectively align candidates with the right companies, and will often show candidates options outside of their usual practice that they might not usually apply for. Additionally, having a recruiter on your side may help you get noticed. Companies will trust that recruiters have screened applicants pretty thoroughly before sending through an application, and that unsuitable applicants have been weeded out. Besides editing and proofreading your CV, a legal recruiter will tailor your resume to ensure it highlights your most marketable traits. A good legal recruiter will know the ins and outs of a legal career, they will understand progression in your industry and provide advice as to a long term career path. They can also provide assistance when it comes to juggling multiple offers and negotiating salary. A good legal recruiter should understand that long term career goals are priority, for both of you. Once you progress to the interview stage of the job application process, a recruiter becomes an invaluable source of information. The recruiter should have extensive knowledge on the personality of the interviewer and the culture of the company you are interviewing for. They know exactly what the company is looking for in a candidate, so they will be able to prepare you for the interview and help you highlight any desirable qualities you may have. A recruiter will ensure that the entire recruitment process runs smoothly. They will facilitate interviews, liaise with the company and help negotiate salary. Recruiters provide advice when juggling multiple job offers, and are invaluable at helping negotiate a salary you are happy with. 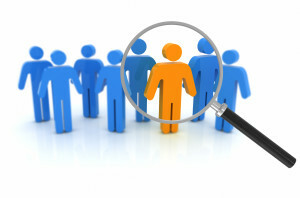 Professionals such as recruitment firms and HR managers use a range of interview techniques to determine a candidate’s suitability for a position. Attracting talent and retaining quality employees is becoming increasingly difficult for most organisations, including law firms. This is due to a shortage of skilled candidates, the lack of employee loyalty as well as the many opportunities that exist for lawyers to work overseas. The question becomes how does a law firm position themselves and make themselves more desirable to future employees? In order to attract, retain and develop talent, the recruitment function should be viewed as an extension of the marketing function. Organisations (and law firms included) must have clear strategies regarding marketing their brand to existing and future employees. This is because your employees are the organisation’s best form of advertising. An employer brand communicates the organisation’s culture, vision, reputation and value system. Therefore, anything that an organisation does e.g. how management communicates internally and how an organisation’s services are perceived in the marketplace, impacts on the employer brand. For an employer brand to be successful, the entire employment lifecycle (e.g. the interview process, on-boarding, induction, performance reviews, exit interviews) needs to be scrutinised and where necessary improved and enhanced. It must always be remembered that quality candidates will always have several options to choose from. How can interviews portray employer brand? When attracting talent, the first interview is crucial in communicating the employer brand. Interviews are always a two-way street and talented candidates do not move purely for an increase in remuneration. Candidates want to know about an organisation’s culture and philosophy and whether it is in line with their own value system, objectives and career goals. What are the main reasons for employees leaving? It is very clear that in today’s mobile workforce, retaining talented employees is just as challenging as attracting new talent. Therefore, an organisation’s leadership, the way it communicates to its staff and the opportunities within the organisation to develop and progress all impact on whether an employee will stay or jump to a competitor. The lack of training and development opportunities are the main motivators in employees leaving, not necessarily reward and remuneration. Keeping your staff motivated is one of the keys to low turnover as well as offering a workplace that is flexible and a management that is transparent in their decision-making. How can a company improve their employer brand? Conduct an annual review of your employer brand and where necessary make changes to your organisation’s vision statement. This is where your staff’s feedback is useful. The aim of every organisation is to be an ‘Employer of Choice’ and a strong employer brand will help a law firm or any organisation, attract and retain the best talent. Often we are asked about the benefit of using a recruitment agency. There are loads of recruitment agencies in Australia, which in itself can be confusing. It can be a bit like shopping in that you need to try a few before you find the one (or two) that really ‘get’ you. With so many jobs being advertised and the horrible feeling of not being considered for the roles you apply directly for; a well-connected agent can be exactly what you need. So, how can your recruiter help you? It’s what we do! We have the active positions across practice areas and industry knowledge about what’s happening in the market and potential opportunities. We have long established market contacts throughout Australia and also further abroad! We can support you with finding a position that is going to be the best fit for you, both career wise and personally. We can help you with tailoring your resume so it has the impact you need it to. We also assist with interview preparation to help you impress in an interview. If you have questions that you don’t feel comfortable to ask directly we can help! We can describe the culture of a firm to you to ensure that you make a fully informed decision. We support you right through the initial days, weeks and months of your new role, you will always have a sounding board with us! When people put their trust in us to help them with such an important decision in their career, it’s not something that we take lightly. Using an agent shouldn’t feel like an annoying middle person, it should instead feel like a new support network and be an excellent way of understanding the market you are tackling and increasing your chances of success. Whether you’re in between permanent jobs, looking for some casual work while studying, or wanting to make some money before your next overseas trip, the flexibility that temping offers makes it a great option for job seekers in many different situations. But that doesn’t mean it should be taken for granted! In today’s job market, temp staff are a luxury, and businesses only use temps when they have stretched all other resources as far as they’ll go. Be up front right from the start. Whether you’ve secured an interview for a permanent position, you’ve got some holidays booked, or you have an exam coming up – let your recruiter know before agreeing to the assignment. It might seem insignificant at the time, but they can manage the process best if they have all the information. Be honest. Recruiters have heard all the excuses in the book – from family emergencies to hitting a kangaroo with your car! You will be more likely to be offered further temp work if you tell the truth about your reasons and own the situation. Pick up the phone. It might be easier to send through a quick email or text message, but do the right thing and make a phone call to your recruiter to let them know what’s happened. Give as much notice as possible. You can’t help it if you wake up on the day of your assignment feeling sick, but wherever possible, give your recruiter the opportunity to replace you so the client isn’t left in the lurch. Even if it’s after hours or on the weekend. Keeping these simple things in mind will ensure you maintain a good relationship with your recruiter and are offered further assignments in the future. Why you need a recruiter to get it right by Emma Weeber LLB. Although fee-earners are sometimes reluctant to spare the time to do it, the smart ones will know that taking the time to provide HR with proper details of what they’re actually looking for will certainly increase the chances of recruiting and more importantly recruiting someone appropriate for the position. Obviously the job specification can change and evolve as the recruiting process progresses, but fee-earners taking the time up front to explain what they’re looking for will help enormously and prevent “stabbing in the dark” or you having to use your powers of ESP to work out what they want. In addition, giving a detailed spec to recruiters will save you time as it will prevent you having to answer the same questions a thousand times over. I’m sure you’ve all fielded multiple calls from recruiters trying to explain what the role is. What do candidates really want to know before they consent? Obviously this differs according to the level of the recruit, however for a lot of lawyers, they simply won’t consent unless they are given a detailed job specification. When you’re talking about lawyers who are naturally cautious and risk adverse, and who are concerned about confidentiality, unless they are given a large amount of information about the role, it can be incredibly difficult to obtain consent to the particular role. A practice area, level and name of partner won’t — in most circumstances— be enough for the candidate to consent. What team is it to work in? Who the role is to work for (whether it’s one partner in particular or a number of partners). The structure of the current team (this is obviously more important for more senior lawyers, but most would want an idea of who is in the team already. Why the team is looking to recruit? Is it a replacement or expansion position? What salary you’re looking to pay for the role. Is there any particular experience the person needs? What experience is desirable for the role? Does the recruit need a specific academic background? What sort of personality would fit well in the team? When does the recruit need to ideally start? What sort of hours will lawyers be expected to work in the team? If you have this information, things should be a lot easier. It will also save you a lot of time if you have the information up front and not have to go backwards and forwards to the partner and candidates/recruiters with the information. I am often asked by partners or business unit managers how to improve retention rates, or to turn it around the other way, how to reduce turnover. It is easy to forget that functional turnover is not the end of the world – the voluntary resignation, or managing out, of underperforming staff is ultimately good for the business. It is, however, costly and one of the best ways to avoid functional turnover is to hire the right people to start with. We think about this issue a lot here at empire careers because that is our ultimate aim – to find you the right person for the job. So here are my top tips for making sure you hire the right person. In saying that, of course there is always a need to act quickly when you need to fill a role and we will respond to that. But please don’t recruit someone just because they have a pulse and have a bit of experience that is relevant. Sit down and objectively write down what you are looking for in terms of expertise and skills. Develop a ‘score’ card so that you can score the candidates you interview against those criteria. You might like to weight some things higher than others as well – for example, you might be seeking someone with, or with potential to develop, specialist accreditation, or another qualification. This will help you compare apples with apples. We all have bias – both positive and negative, and you need to be aware of them in the interview process. Do you unconsciously favour someone for example that went to your alma mater? Do you subconsciously worry that a young woman sporting an engagement or wedding ring will abandon you to have babies? Do you dismiss applicants with foreign sounding names without interviewing them? Bringing out your own unconscious biases and being aware of them is a good way to minimise them. In the excitement of finding a candidate who has the right experience you’re looking for, but at a more senior level, you forget that you may not be able to offer them the challenge they need with the work you have, particularly if you already have three other people at that level in the firm. They may leave because the job did not meet their expectations or there is no career path for them. What are the firm values? Does the candidate exhibit those same values? Use your behaviour based interviewing techniques to find out their values to make sure they align with yours. Often the right person for your role is happy and well paid somewhere else and not actively looking for a new job. Consider looking via a targeted search rather than advertising and you will be surprised who you might find! Do you have any tried and true methods for hiring the right person the first time?